Posted by jonathanwarren in Aspen Consular Corps, Consul of Monaco, Consulate of Monaco. On March 9, 2013 the Republic of Lithuania created the first Consulate based in the prestigious resort town of Aspen, Colorado, when Honorary Consul Dr. John Prunskis was appointed to the newly formed post. Consul Paulina Biggs Sparkuhl (Chile); Consul John Prunskis (Lithuania); Consul Astra Michels (Lithuania); H.E. Žygimantas Pavilionis, Ambassador of Lithuania; Consul Vyautas Lapatinskas (Lithuania); Consul Jonathan Warren (Monaco) at the formation of the Lithuanian Consulate and the Aspen Consular Corps. Consul Warren met Consul Prunskis at the World Congress of Consuls in Monte Carlo in November of 2012. At the finale event there, Consul Warren drafted the indenture forming the Consular Corps of Aspen, Colorado. The founding Dean of the Corps is Consul Prunskis, and two other founding members include the Honorary Consul of Chile in Las Vegas, Paulina Biggs Sparkuhl and Honorary Consul of Monaco in Las Vegas, Jonathan Warren. Both Consul Biggs Sparkuhl and Consul Warren have consular districts which include Colorado. The document was executed by the three founding members, and witnessed by numerous consuls at the World Congress last year. 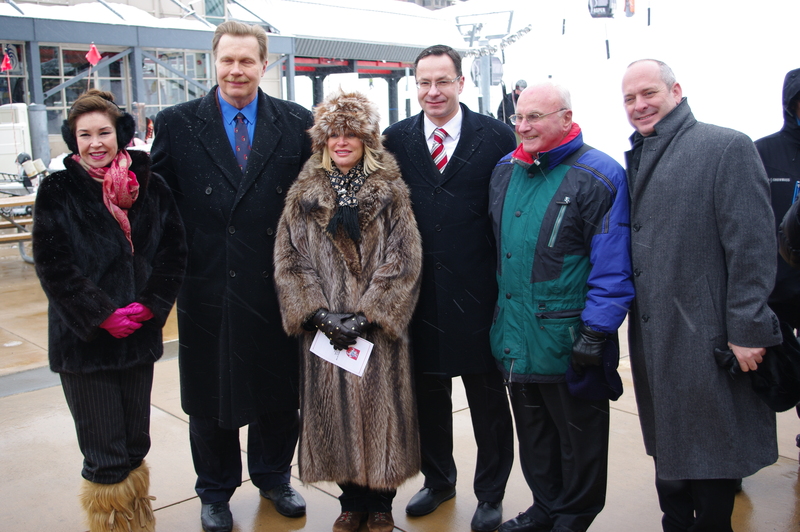 On March 9th, Consuls of Lithuania from Las Vegas and Seattle joined the newly formed Aspen Consular Corps in welcoming H.E. Žygimantas Pavilionis, Ambassador of Lithuania, to open the new consulate. The events included speeches and traditional dance, followed by a cocktail with the Mayor of Aspen and other members of the local community. Posted by jonathanwarren in Consul of Monaco, Consulate of Monaco, Monegasques in the USA, Nevada Consular Corps, Prince Albert II of Monaco. Filling in for Ambassador Noghes who was called away on affairs of State, Consul Jonathan Warren spoke on Friday, Sept 22, 2012 to the distinguished attendees of the Buffalo Bill Historical Center Annual Patron’s Ball in Cody, Wyoming. The Consul announced on behalf of the Ambassador that HSH Prince Albert II of Monaco has accepted the invitation of the Center and will be attending the Patrons Ball next year. The visit will mark the 100-year anniversary of the 1913 visit of Prince Albert I to Wyoming. It will also commemorate the earlier Prince’s establishment of Camp Monaco in the Shoshone Forest with Buffalo Bill Cody. Camp Monaco was Buffalo Bill’s last great hunting camp, and is a major exhibit within the Buffalo Bill Museum today. The royal visit in 2013 will mark the launch of an annual prize to be given in biodiversity study of the greater Yellowstone system, in cooperation with the Prince Albert II of Monaco Foundation. Distinguished guests included Vice President Cheney, Senator Alan Simpson, Governor Matt Mead, Susan Eisenhower and many others. Consul Warren’s brother, Buffalo Bill scholar and author of Buffalo Bill’s America: William Cody and the Wild West Show, Professor Louis Warren was invited by the Buffalo Bill Historical Center as well. Professor Warren gave interviews and enjoyed the hospitality of Cody with Consul Warren. Thank you for allowing me a few moments to speak on behalf of His Excellency Ambassador Noghés, who deeply regrets that he could not be with us here tonight. If you have not met the Ambassador, I hope you have the opportunity to do so very soon. 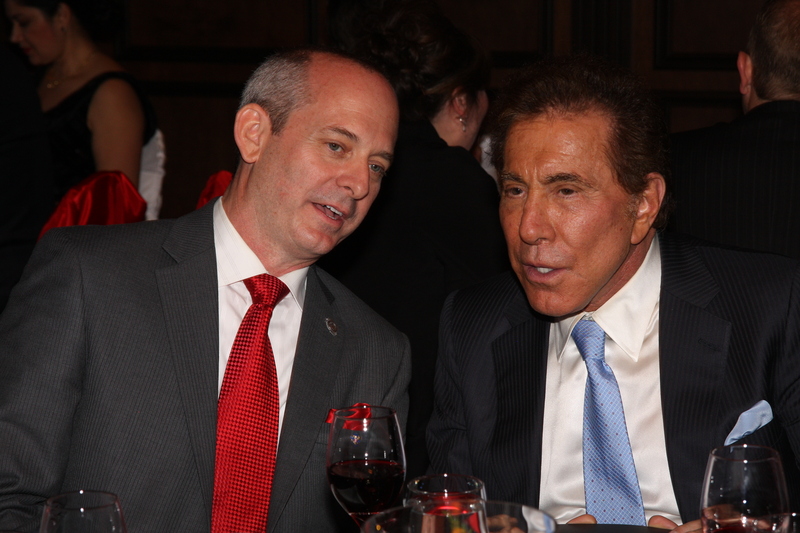 He is a wonderful career diplomat and the first Ambassador of Monaco ever accredited to the United States. Ambassador Noghés is passionate about Wyoming and about the long relationship between the Principality and the American west. In fact, the Ambassador worked to re-open the Consulate of Monaco in Las Vegas and to make it serve Nevada, Utah, Colorado and Wyoming. The Consulate was first opened in 1956, after Prince Rainier III appointed Captain Henry Leigh Hunt to the post. Captain Hunt’s consular immunities were signed into recognition of the Law of Nations by President Dwight Eisenhower, whose distinguished granddaughter graces the very table at which I dine tonight. Ambassador Noghés intends to build on this legacy. I trust our dear Consul Jonathan Warren, whose brother is Louis Warren, the famous Bill Cody’s historian, will express my regrets better than I could, for not being with you tonight at the Patron’s Ball. As you may know, 2013 will be a special year for us all as we will celebrate, with enormous pride and pleasure, the centennial of the visit to Cody of one of our most illustrious princes of Monaco. Albert I, the Scholarly Prince and co-founder of oceanography, came in September 1913 to Cody and went Hunting with the Iconic Buffalo Bill. 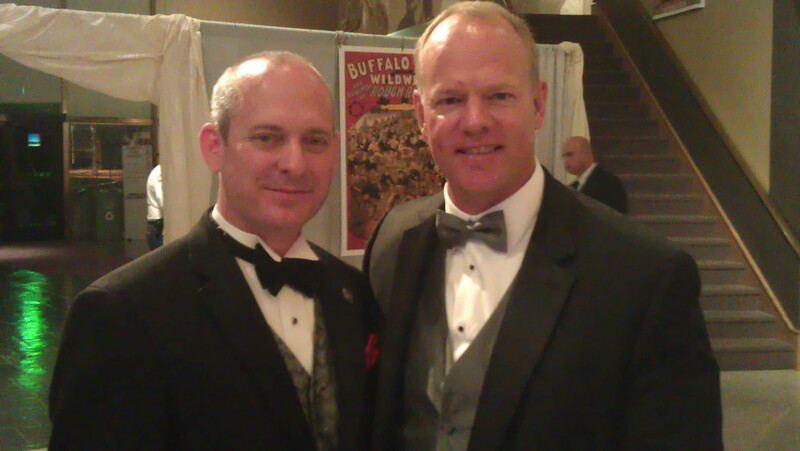 Dear friends, I have the distinct honor of informing you that Prince Albert II of Monaco, his great, great-grandson, has accepted the kind invitation of the governor and the Board of the Buffalo Bill Historical Center to participate in his celebration and will be present here next year! I wish to thank the members of the Board who are wonderful friends in the venture, among them: Chairman Collier, Mrs. Naoma Tate and Ambassador Bodini. I would like also to salute some of the exceptional partners: Dr. Bruce Eldredge, Executive Director and CEO of the Buffalo Bill Historical Center, Dr. Charles Preston, founding Curator of the Draper Museum of Natural History and General Tim White, Director of Content and Programming, who is my most precious adviser. Like William Cody, Prince Albert I was a visionary. He was concerned with the deforestation and also overfishing the oceans. In the same way, Prince Albert II has become a formidable advocate of the environment. One of the reasons for that is that he spent many vacations in American summer camps when was younger. Six years ago he created the Prince Albert II Foundation which is represented here tonight by a distinguished member of its US Board, Mrs. Nancy Roe. Prince Albert II and his foundation have recently decided to honor the biodiversity in the greater Yellowstone system by awarding, for the first time next year, an important price of biodiversity which will soon be announced. in our minds, there will be no better way to pay tribute to this extraordinary ecosystem and to the pioneers who understood its immense value for mankind. Dear friends, in 1913, Prince Albert I and Bill Cody created Camp Monaco in the Shoshone Forest. the tree trunk where the name of the camp was engraved is in the Buffalo Bill Museum today. This has created a permanent link between Wyoming and Monaco and long lasting friendship which is worth celebrating – with panache! I look forward to celebrating this centennial with you next year. In the meantime, I wish you a very pleasant night at the Patron’s Ball. Exclusive Monaco Private Label dinner welcomes Las Vegas society. 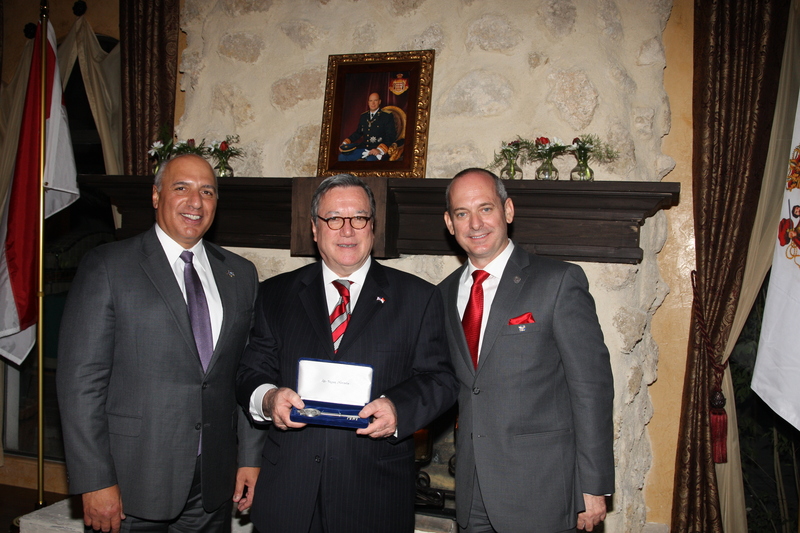 Ambassador of Monaco receives Key to the City of Las Vegas. H.E. Gilles Noghès, Ambassador of the Principality of Monaco to the United States and Canada, was welcomed in Las Vegas on June 14, 2012 by Consul Jonathan Warren. Mayor Pro Tem of Las Vegas Stavros Anthony and Consul of Monaco in Las Vegas Jonathan Warren presenting the Key to the City of Las Vegas to Ambassador Gilles Noghes. The arrival represents the first official visit to Nevada of the first Ambassador of Monaco ever accredited to the United States. It was also the first official visit of any Ambassador of Monaco to the Consulate of Monaco in Las Vegas, which was first opened in 1956. The Consulate of Monaco in Las Vegas and the Embassy of Monaco in Washington, DC worked closely with Mr. Michel Bouquier, Special Economic Advisor to the Government of Monaco, to host the first Monaco Private Label dinner in Las Vegas. Monaco Private Label was introduced by the Principality in 2010 to offer special access, of a level and nature which money alone can not buy, to very special visitors to Monaco. Members must be invited by a consul or ambassador of the Principality. Twenty Las Vegans were presented with the honor. Mayor Pro Tem of the City of Las Vegas, Stavros Anthony, awarded the Ambassador the Key to the City of Las Vegas. Mayor Pro Tem Anthony cited the Ambassador’s work, with the approval of HSH Prince Albert II, to re-open the Consulate of Monaco in Las Vegas by appointing Las Vegan Jonathan Warren as Honorary Consul in 2010. The Consulate had been moved to Los Angeles 47 years earlier when Consul Henry Leigh Hunt retired in 1963. The event took place within Thriller Villa at Hacienda Palomino, the former Las Vegas residence of Michael Jackson. security was high as fifty-five guests, including such Las Vegas notables as Steve Wynn, Sig Rogich, Richard Goeglein, Steve Schorr, Aner Iglesias, Marykaye Cashman, Vera Goulet and Monaco Grand Prix champion Enrico Bertaggia joined the Embassy delegation as well as Mr. Patrice Solamito, Director of the Casino Monte Carlo and Guillaume Rose, Monaco Director of Conventions and Tourism. Seven consuls of Monaco were present, including the Honorable Maguey Maccario, Consul General of Monaco in New York, the senior consular officer of Monaco in the United States. The evening opened and closed with opera by tenor Marco Varela and soprano Betsy Fiore, with harpist Kim DeLibero during dinner. Posted by jonathanwarren in Consul of Monaco, Las Vegas. Consul Jonathan Warren recently agreed to serve on the Board of Directors of the Liberace Foundation for the Creative and Performing Arts. Liberace was the opening act of the then-tallest hotel in Las Vegas, the Riviera, in 1955. He lived in a sumptuous suite in the Monte Carlo Tower, and was then the highest paid performer on the Las Vegas Strip. The Riviera Hotel had been developed on land owned by Henry Leigh Hunt, who, coincidentally, that same year would be selected as Honorary Consul of Monaco in Las Vegas. A long-time Las Vegan, Liberace in 1977 carried out a Royal Command performance for HSH Princess Grace of Monaco. He was a regular guest on the Monte Carlo Show, filmed at the Sporting House of Monaco, and was known to be fond of both Las Vegas and Monte Carlo. The Liberace Foundation provides scholarships in the creative and performing arts. Consul Warren believes that fresh approaches to delivering the impact of Liberace on music and fashion has the potential to dramatically increase the profile of the Foundation. He very much looks forward to working with other board members.